The shore excursions sold by cruise lines can be touristy, overpriced, and inefficient. In this series, local experts in the world’s most popular ports recommend sightseeing itineraries for your time off the ship, so you can get the max out of your precious time in port. Since its cruise port sits so close to the city center, Barcelona is a natural contender for independent shore excursions. 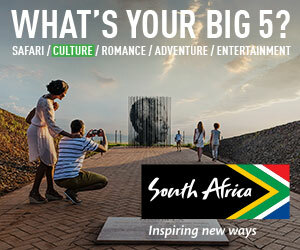 We asked the whizzes at Context Travel to dream up the best ways to spend a day in the city. You can choose to go it alone or hire one of their “docents”— professors, art historians, chefs, and other interesting local people—to show you around. Most cruise ships dock extremely close to the city center at the Moll Adossat terminal (moll means pier in Catalan); even if your ship doesn’t dock there, the other piers are nearby. By bus — The Barcelona port authority operates a shuttle bus (the T3 PORTBUS, a.k.a. the blue bus) that takes passengers between Moll Adossat and Plaça de Colom. From this plaza at the base of Las Ramblas, you can easily get around on foot or by metro; the Drassanes stop on the green L3 line is nearby. To catch the bus, look for signs upon exiting the boat; the cost is 3 euros (about U.S. $3.30) round-trip, 3 euros (about $3.30) round-trip. Your cruise company may also run its own shuttle from the Moll Adossat to the World Trade Center, which is just a few minutes’ walk from Plaça de Colom. By taxi — There is a taxi line at Moll Adossat, though sometimes the wait is long. The ride to Plaça de Colum should take about 10 minutes at a cost of roughly 10 euros (about $11). The ride to Plaça de Catalonia, Barcelona’s more central square, is about 20 minutes and roughly 15 euros (about $16.50). By private car — You can pre-book a private car to whisk you back and forth in style, but it comes at a price; Context Travel offers the service for $50 each way. Walking — It’s about a 45-minute walk to Plaça de Colom; the part of the city you’ll see is neither interesting nor beautiful. 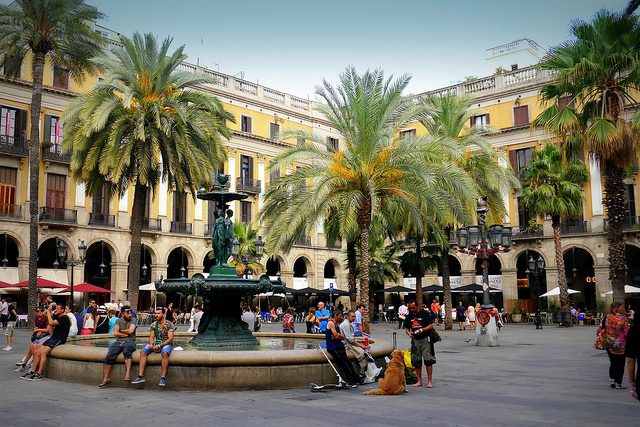 Start your exploration at Plaça de Colom, where you’ll see a large monument to Christopher Columbus. The monument sits at the base of Las Ramblas, a historic, pedestrians-only avenue that runs north to the city’s main square, Plaça de Catalunya. Stroll up Las Ramblas to see some of the street performers and activity (though watch your purse); veer off to the right at some point to get lost in the Barri Gòtic (Gothic Quarter) and El Born neighborhoods in the Ciutat Vella (old city). The Barri Gòtic does have some heavily touristed streets, but it’s still possible to find quaint ones—we especially love exploring what remains of the historic Jewish Quarter. Stop at the Born Centre Cultural, housed in a 19th-century covered market, to learn about the history of that neighborhood as well as all of Catalonia; then head to lunch at Bar del Pla for some tapas. In the afternoon, head up Las Ramblas (by foot or via metro line L3) to Passeig de Gràcia, the main artery of the Eixample district. 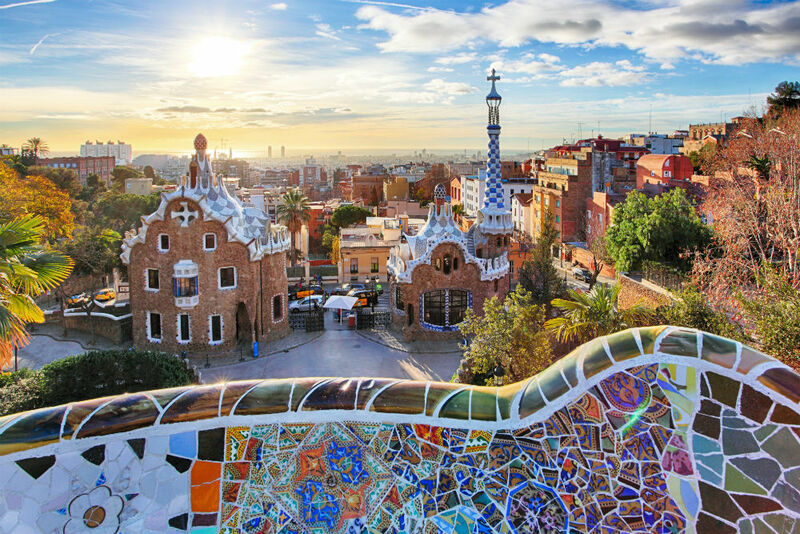 It is in this newer district that you’ll find Barcelona’s famous modernista architecture, particularly works by the three most famous modernistá architects: Antoni Gaudí, Lluís Domènech i Montaner, and Josep Puig i Cadafalch. You’ll see the bulk of these on the Passeig de Gràcia itself, including Gaudí’s famous Casa Mila. Passeig de Gràcia is also home to luxury stores like Chanel. While walking the Passeig de Gràcia, look down at the paving stones beneath your feet—they are based on a design by Gaudí. The L3 line runs parallel to this avenue, so you can simply hop on the subway to the Drassanes stop and catch the next PORTBUS whenever it’s time to get back to the ship. Head to Gràcia, a village once well outside the city limits (now near the Lesseps stop on the metro’s L3 line). 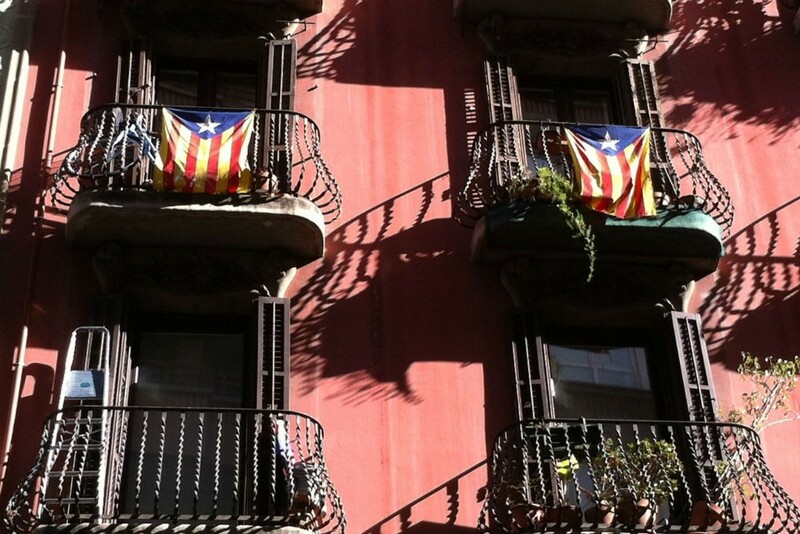 Far from the prying eyes of tourists, Gràcia is an ideal neighborhood for learning about Catalan culture and pride; for insight into the current political atmosphere and independence movement in Catalonia, Context Travel offers a three-hour walking seminar of the neighborhood. Have lunch in Gràcia at Can Xurrades, a local favorite for Catalan cuisine, particularly steaks from Iberian bulls (similar to Kobe beef); call in advance to reserve a table. 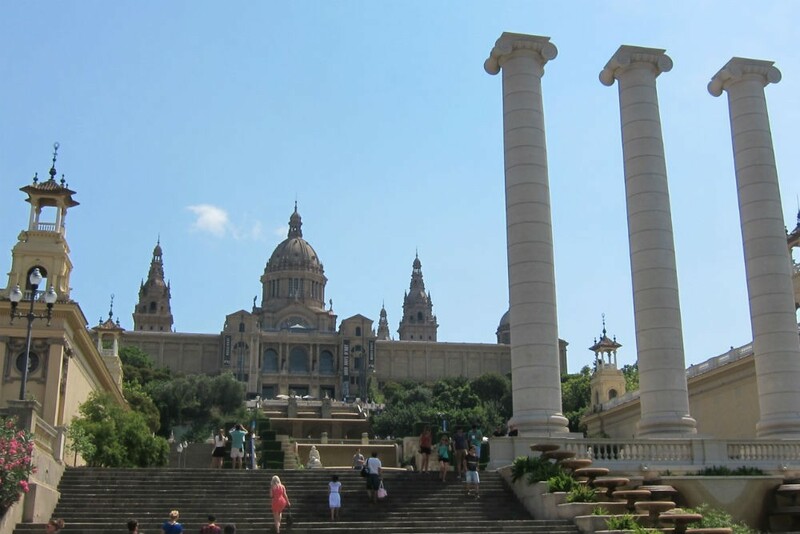 Then head by metro down to Plaça Espanya for an afternoon of Catalan art: the Museu Nacional d’Art de Catalunya, a fantastic collection of Catalan visual art, is housed in the Palau Nacional; the nearby Caixa Forum has wonderful temporary exhibitions in a converted textile factory. Context arranges a three-hour walking tour of nearby Montjuïc hill that contextualizes the area. To return to the port, make the five-minute walk from the Caixa Forum to the metro stop Plaça d’Espanya on L3. Exit at Drassanes, and return to the T3 PORTBUS stop to catch the shuttle back to the Port. 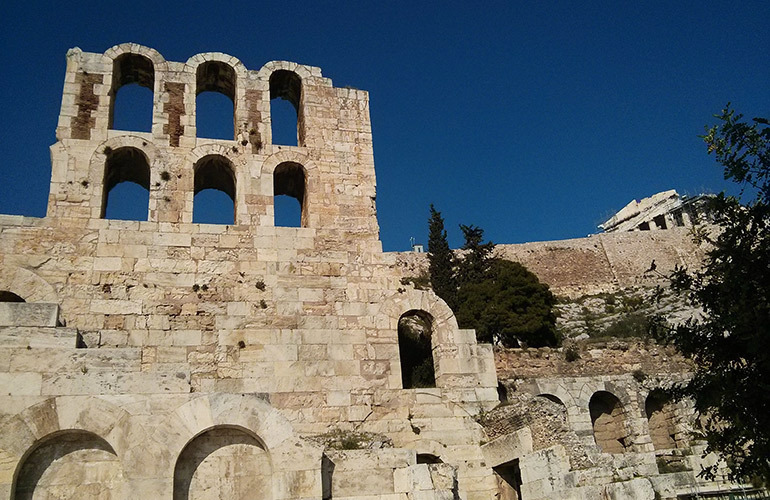 Two ways to make the most of a cruise shore excursion in Athens. If you’re flying through Barcelona-El Prat airport (BCN) and have a layover, you’ll probably be tempted to visit the city. Here's how. Last month my family sailed on the 4,000 passenger Norwegian Breakaway. 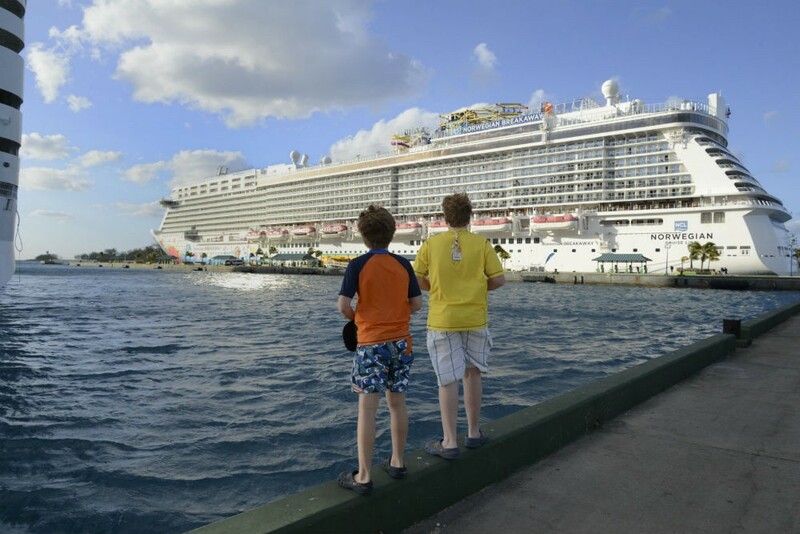 Here are some great tips for making the most of a family cruise. Is 2015 the Year to Travel to China?